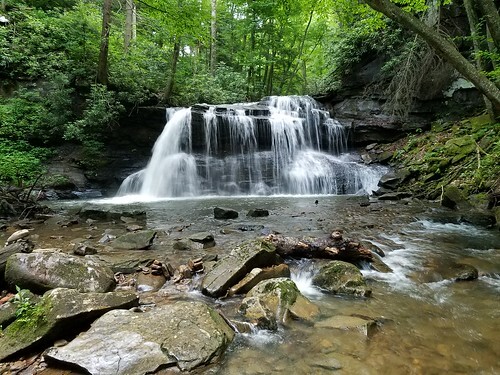 We recently took a trip through the central Appalachians of West Virginia and Virginia to see some under-the-radar parks. It was a great trip, one that I would recommend, especially for those looking for something different. A great place to hike with views of the Cheat River Canyon. Do not miss the Underlook Trail to see huge cliffs and boulders. 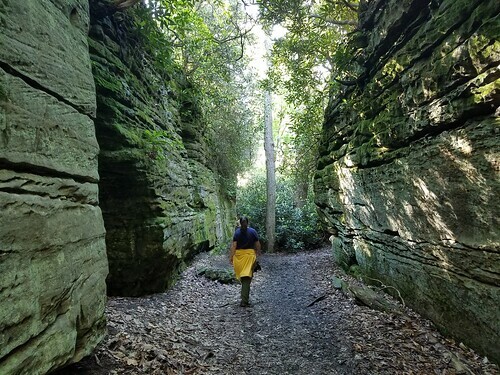 A highlight is the impressive Rock City Trail, where the bedrock separated, creating a straight chasm. There is also an old iron furnace. 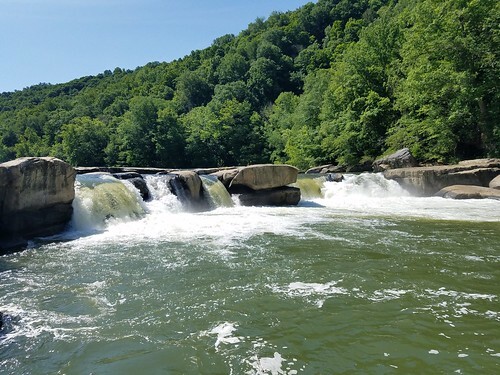 A small, day use park with a series of wide waterfalls, about ten feet tall, on the Tygart Valley River. Worth the stop. 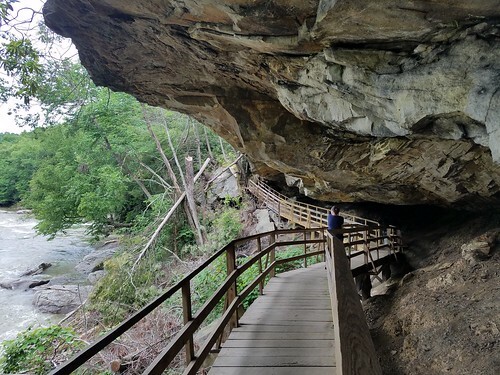 Another small park that features a huge rock shelter, known as Alum Cave, with a long boardwalk above the rapids of Middle Fork River. One of my favorites, this isolated park is located deep in the Appalachian foothills, reached by curvy roads. A true hidden gem. 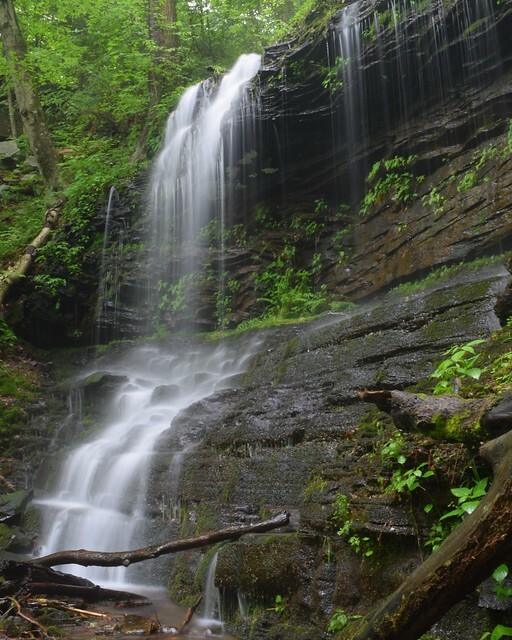 Enjoy miles of trails through beautiful forests, views, and several waterfalls. There is a great restaurant at the park, and good camping. The forest had a kind of rainforest feel with all the rhododendrons and towering trees; the park gets a lot of rainfall. There are also historical points of interest, such as a one room school house. 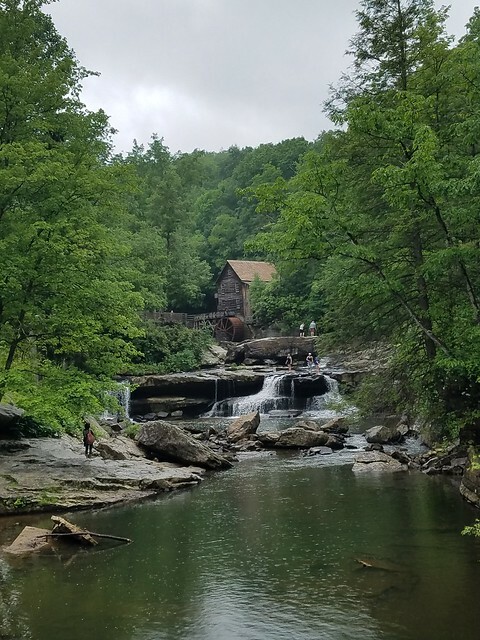 This park has a classic West Virginia view of a gristmill (often seen in photographs), a small natural arch, and some views. Worth the stop. A must-visit, this place has one of the most impressive canyons in the east. Trails lead to cliffs and commanding views of the canyon. The Grandview Trails are among my favorite. Don’t have much time? Hike the classic Endless Wall Trail to impressive Diamond Point. Sandstone Falls in the southern end of the park is worth seeing. 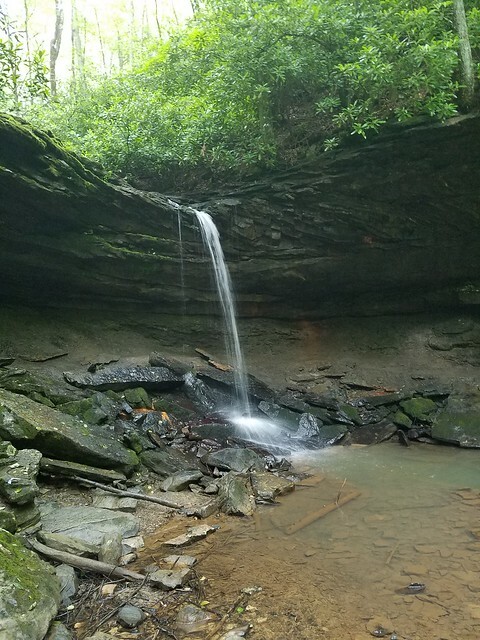 The park doesn’t have many waterfalls, but Glade Creek had some beautiful smaller falls and cascades. 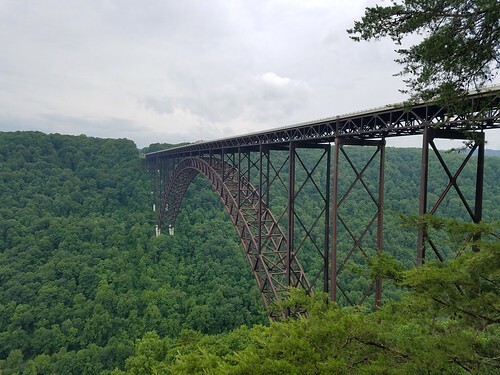 Enjoy views of the famous New River Gorge Bridge and its iconic arch at the visitor’s center. The gorge is famous with rock climbers. Located in southern West Virginia, this park has a restaurant and resort. There are also miles of trails to two falls in glens cloaked with rhododendron. Trails also lead to views, and there is also a pioneer era working farm. 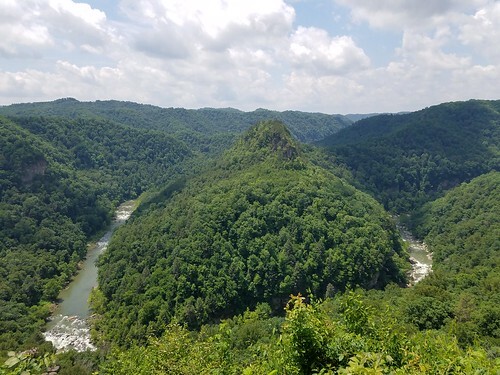 A majestic, rugged canyon carved by the Russell Fork on the border of Virginia and Kentucky. 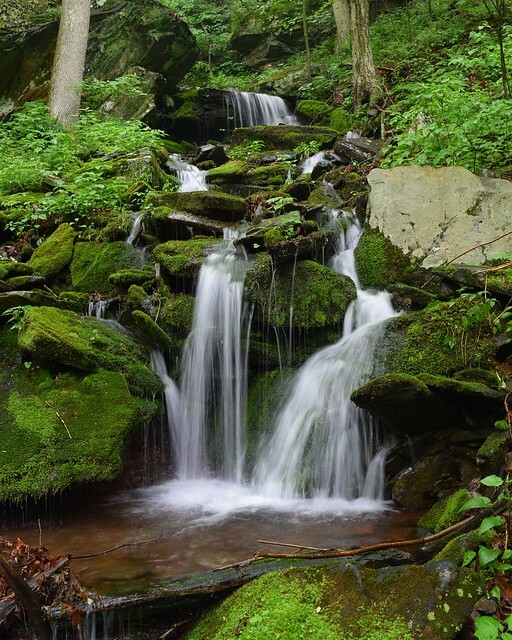 Enjoy stunning views and impressive rock outcrops on the Geological, Overlook, and Laurel Branch Trails. The Notches were an impressive spot. 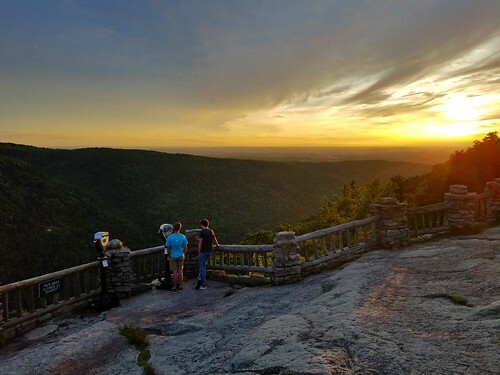 Grassy Overlook is one of the less popular vistas, but it is worth it, particularly for sunsets. This area offers tons of hiking and world class whitewater. The gorge is called the “Grand Canyon of the South”. You can easily spend several days here and the restaurant in the park was convenient. This park is a true hidden gem that should be on anyone’s list. A small park in West Virginia with a towering rock outcrop with average views. The rock had some graffiti. Not worth the stop. We drove the Skyline Drive on our way home. This iconic drive is worth the time with its countless vistas of the beautiful Shenandoah Mountains. Watch for all the deer; bear are often seen. On your next trip, consider out-of-the-way parks. They are just as beautiful as the more popular places, have far fewer crowds, are less expensive, and the local communities can use the tourism dollars. 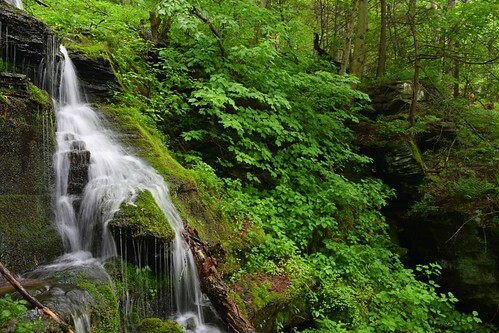 Ricketts Glen is one of PA’s most popular, and beautiful, state parks. 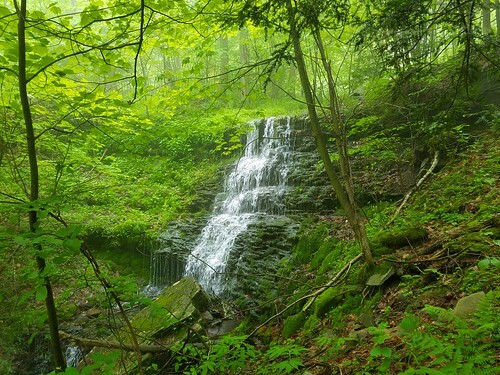 The famed Falls Trail takes hikers under old growth forests and along many waterfalls. 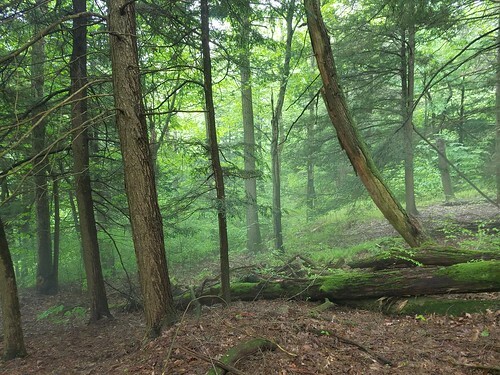 However, this large park has many secrets besides the popular Falls Trail. I decided to explore Maple Spring Run to see what hid in its deep, isolated gorge. I parked off of PA 118 and walked up the Falls Trail, passing several other hikers. This trail was not crowded, yet. After the third bridge, I went off the Falls Trail and began to bushwhack up Maple Spring Run. I soon encountered a maintenance trail to allow workers to access the Falls Trail for repairs. 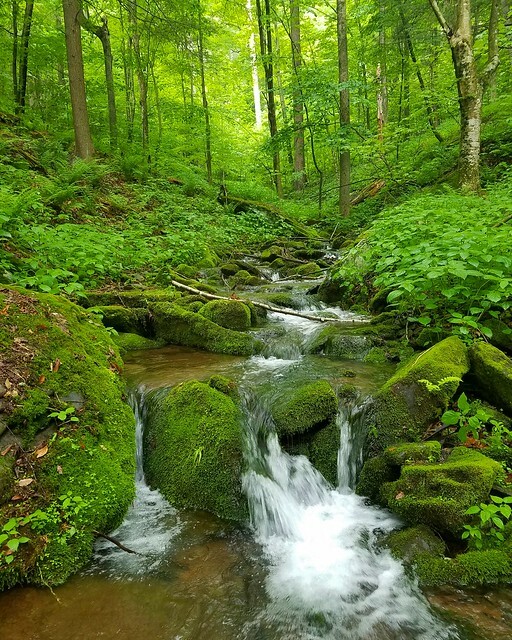 I continued up Maple Spring Run and was impressed by the towering trees and pristine stream that tumbled over mossy boulders. The stinging nettle made the hiking tedious, so I stayed close to the creek. A side stream joined from the left and I continued right. The gorge became steeper and I soon encountered the first falls, partially concealed by a fallen log. It was about 20 feet tall. I scrambled above to see a series of beautiful cascades that led to huge boulders, ledges and a 15 foot falls. This gorge was once home to some truly huge hemlock trees. Sadly, most are now dead. Regardless, the isolation and scenery made Maple Spring Run feel primeval. I climbed above this second falls and pushed upstream over the difficult terrain. I soon reached the finest falls on Maple Spring Run- Porcupine Falls. A truly beautiful sight with a column of water dropping straight off a cliff. There were additional 8 foot drops above and below. In total, this falls is about 40 feet tall; the two uppermost drops make the falls about 25 feet tall. Nearby were cliffs and ledges with rock overhangs. I scrambled to the top to see some partial views from the cliffs into the misty gorge below. I continued up the creek to see more cascades under hemlocks. I came to a final falls, about 20 feet tall in a glen. Another climb brought me to the Old Beaver Dam Road Trail, where I turned right. It seemed so easy to hike on a level, established trail as I sailed through beautiful forests of pine, hemlock, and laurel. I could hear the waterfalls of Kitchen Creek roaring far below. Another trail soon returned me to the Falls Trail in Ganoga Glen. After hiking alone in the rugged wilderness of Maple Spring Run, I had culture shock from being surrounded by so many people. The Falls Trail was impressive with the high water flow and tremendous, powerful falls. Each was impressive, particularly Ganoga Falls, but I tried to avoid the crowds. I began to miss the isolation of Maple Spring Run. I retraced my steps and returned to my car. I know there are more secrets in this famous park. 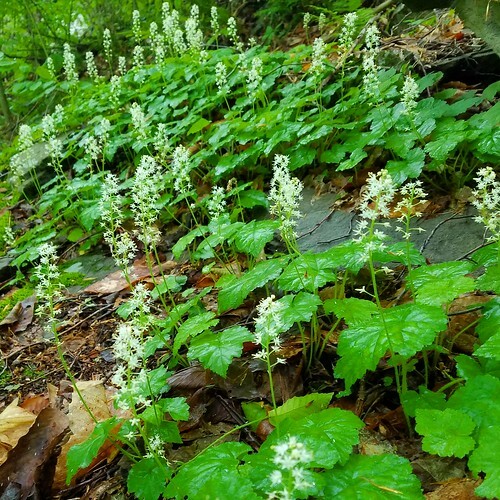 When hiking Maple Spring Run, keep in mind it is rugged and stinging nettle is prevalent in summer. This is a small stream that can disappear when it is dry out. This is far more difficult than the Falls Trail and only experienced hikers should attempt it. 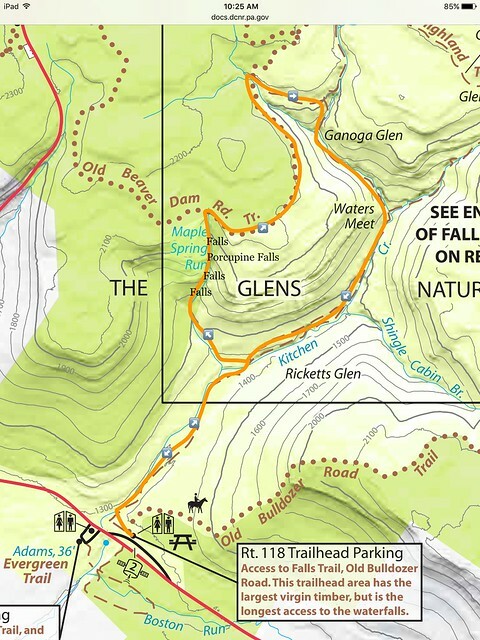 For the map below, the route along Maple Spring Run is off trail and not blazed.